Lighthouses are a universal symbol of hope, strength and safety. They are not only pieces of history along our coastlines, but also idyllic scenery for the perfect day on the water, sailing from NYC, Montauk, Stamford CT, or Cape Cod. 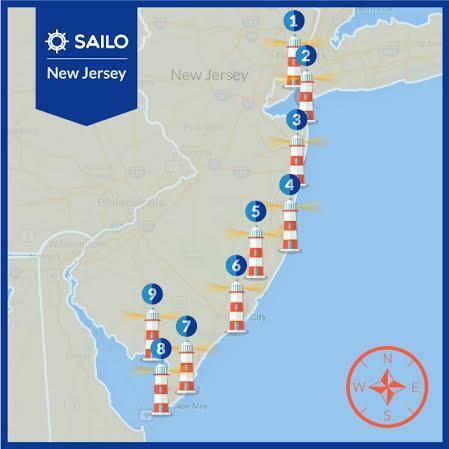 Every year on August 7th, we celebrate National Lighthouse Day - the day we honor the Lighthouse Act signed in 1789. To get you in the spirit of this festive day, we put together a treasure map to guide you to the crowned jewels of the coastlines. 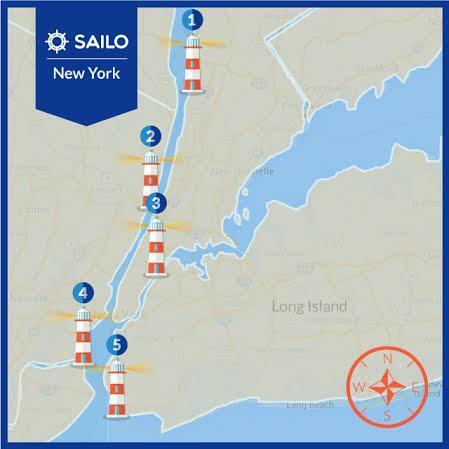 For each of Sailo's top destinations, we've provided you with numerous lighthouses and piers within discovery range of your boat. Pictures simply don't do these landmarks justice, so harness your sense of adventure and explore these destinations! When planning your summer sailing from NYC, make sure to check out our beautiful sailboats and sleek yacht rentals in New York. 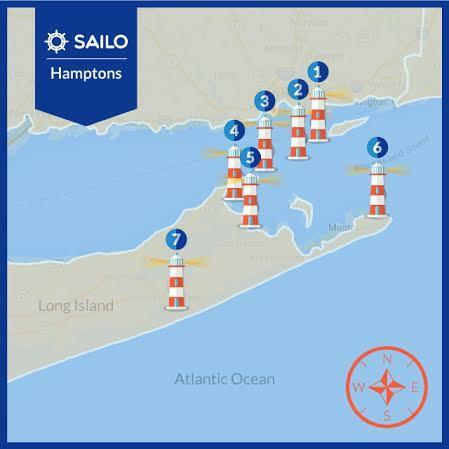 New Yorkers choose the Hamptons every year as their favorite boating destination. 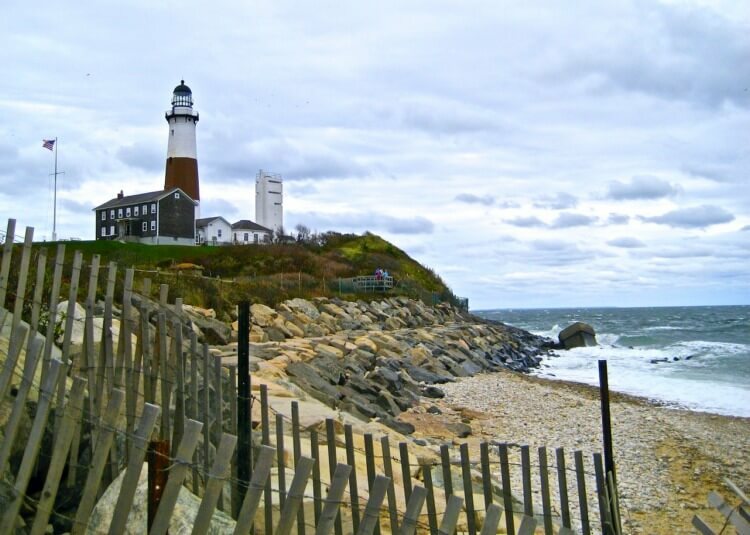 Whether you’re looking to go sailing from Montauk, Southampton or you hop on your boat rental in Sag Harbor, make sure you have your camera ready to capture the majestic lighthouses guarding the coastline. Our local team of sailing NYC enthusiasts recommend getting aboard of a sailboat rental in Jersey City for a day cruise down the coast - the perfect way to spend a summer day with your family or friends. Relax, enjoy the view and make memories for a lifetime. Connecticut has always been a favorite summer destination for boaters in Tri-state area. 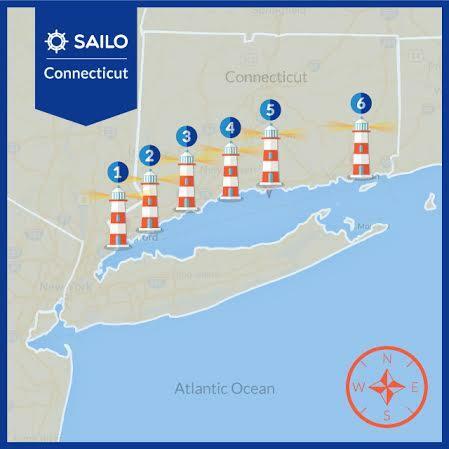 Browse and pick a Sailo boat rental in Stamford, CT and follow our treasure map to discover some of the most beautiful lighthouses on the East coast! Spend a summer weekend sailing along the coastline to admire the manors, pastoral landscapes, or fishing for a trophy catch. Set sail on a boat rental in Cape Cod to the charming harbor of Provincetown - a landmark of the early explorers. Choose one of our beautiful sailboats in Bourne or Falmouth, go through the canal (mind the tide!) and head to Long Point. For the next 4 hours you will be enjoying the picturesque sandy shorelines and the iconic lighthouses of Cape Cod while retracing Mayflower's route in 1620.